Employers should expect an increased likelihood of employment immigrant audits, with or without advanced notice. This is likely to come in the form of I-9 audits. For this reason, employers are encouraged to periodically conduct internal Form I-9 audits with the assistance of counsel, to ensure that I-9 forms are being correctly completed and appropriate records are being maintained. Employers must also ensure that the correct Form I-9 is being used, as the approved form frequently changes. The most recent version was released in July 2017 and became mandatory on September 18, 2017. Any errors discovered in the audit should be immediately remedied. Employers should also consider providing training to their HR professionals in I-9 compliance and policies. Both substantive and technical violations alike will result in penalties anywhere from $220 to $2,156 per employee’s I-9. Employers in states or cities that have declared as “sanctuary cities/states” have an even more complicated burden. For example, California’s “sanctuary state” legislation will go into effect on January 1, 2018. 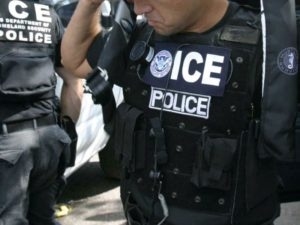 California employers, then, will be prohibited from voluntarily allowing federal immigration enforcement agents into non-public work areas or access to employee records without a warrant. The legislation also places specific requirements for both pre-inspection and post-inspection notice to employees. Failure to comply with sanctuary state legislation will subject California employers to civil penalties between $2,000 to $5,000 per employee for the first violation, and $5,000 to $10,000 for each subsequent violation. Employers are encouraged to perform internal audits of their policies and practices before or around the start of 2018, and to seek the advice of counsel well-versed in both employment and immigration regulations, for assistance in navigating these tricky waters. President, Principal Loan Consultant, Leader Funding, Inc. Copyright © 2014-2019, Community Info Share™. All rights reserved. Material on this site may be copied and distributed with written permission only. To subscribe to our mailing list or join our "Community Network" WeChat groups, please email cinfoshare@gmail.com or WeChat dchenj2015.